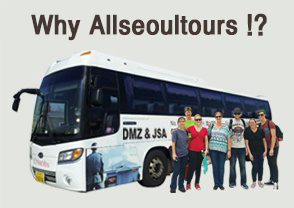 Enjoy DMZ Tour & JSA Tour at Unbeatable Local Prices! An unforgettable DMZ JSA tour displaying the only nation split between the North and South. In France there is the Eiffel Tower, in Germany there is the Berlin Wall, and in Korea there is the DMZ. The DMZ is still considered to be an active Military Region that is still at War. You can only see this if you were to come to Korea, so many foreigners are coming to this district. Every year the DMZ tour is increasing 30% due to foreign tourist visits!! 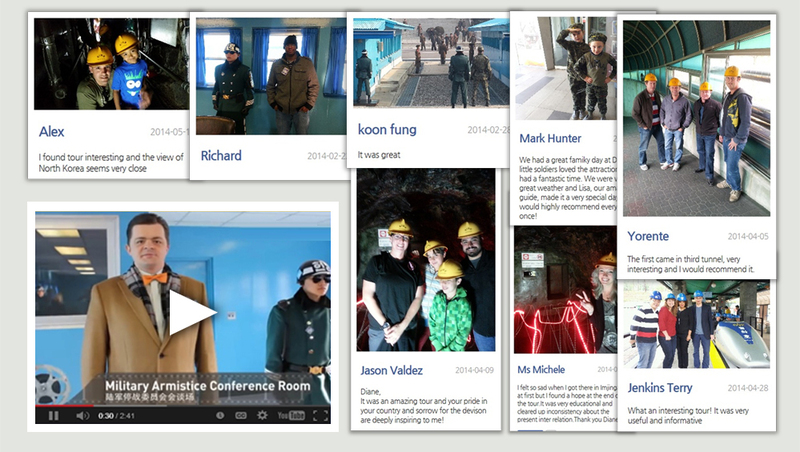 This shows that the DMZ tour is beneficial and exciting. There is no way or any reason why you would want to miss this unforgettable trip to the DMZ. There is no excuse about it, Check it out, I promise you, and you will thank me in the end. You’ll have the experience walking thru an underground tunnel designed to fit 500 people and a tank, created by the North Korean side for the purpose of invading the South. Under heavy surveillance this it is the greatest opportunity to see the North Side thoroughly. 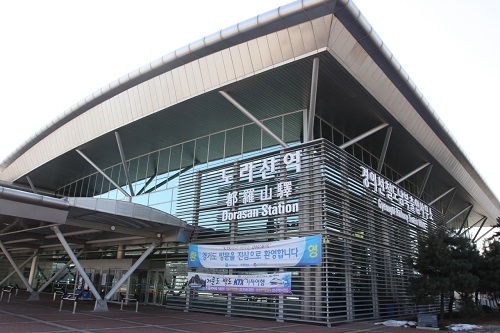 You will also be able to visit the Dorasan station that will be the gateway to connect Korea to Europe. - Through our experience we have provided professional tours to over 50,000 people and are skilled with excellent service. - We have professional guides who are able to guide you through DMZ/JSA while explaining every venue through story telling. - We provide the most comfortable pick-up service that will pick you up from your Hotel. - Through the continual feedback provided by our guest, we continue to develop and improve our customer service. -	You are expected to wear neat clothing that covers your arms and legs. - All visitors must have in their possession a current passport. South Koreas must have this ID checked with the Ministry of unification before the DMZ and JSA tours. 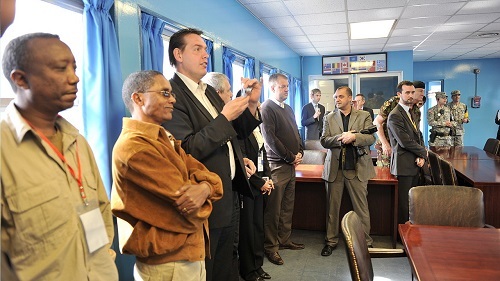 - As there is no public transport to the Demilitarized Zone a DMZ tour is the only real practical way to visit the area. It covers all costs and details. Q1. Are Korean people are prohibited from JSA Tour? No. Korean people can join the Tour, but they require a detailed check up on their ID six months before with the Ministry of Unification. The process is quite complicated because of South and North’s tensional relationship. Q2. Why the need to bring a passport? DMZ is military zone, access controlled area for civilian. Thus, many close ID checks are required. Q3. 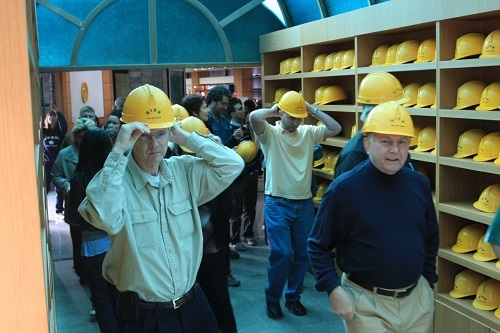 Is there anything dangerous about the DMZ Tour? DMZ is a demilitarized, buffer zone. Two countries are trying to keep a peaceful space. Thus it opens for foreign tourists. Q4. 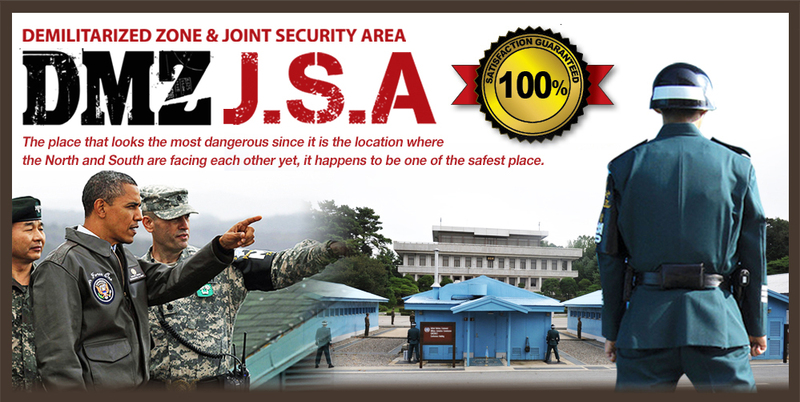 What is difference between DMZ Tour and JSA Tour? 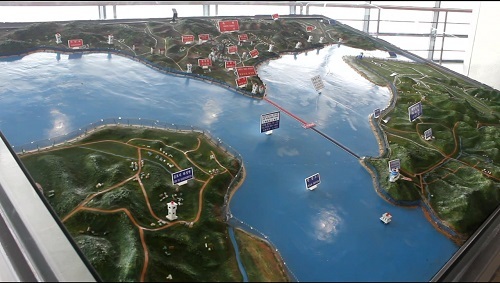 The DMZ Tour is visiting several tensional tour spots in the DMZ border barrier between two countries, such as The 3rd Infiltration Tunnel, Dora Observatory and other tensional, historical places. The JSA Tour is visiting the northernmost place of the DMZ where South and North Korean forces stand face-to-face, the site of military negotiations between North Korea and the United Nations Command (UNC). Historical briefing by UN soldier is provided. Q5. Why there are lots of eagles? Parts of DMZ are the wintering ponds for eagles. They come from Mongol, stay there during winter and then fly back to Siberia. DMZ Morning Tour Plan. 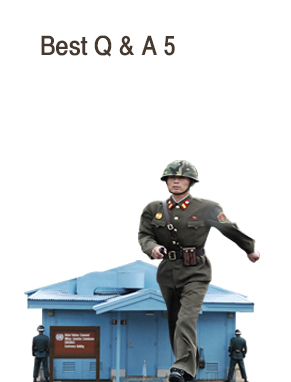 What is the best way to go to DMZ? By joining the DMZ tour. Panmunjeom Morning Plan (Joint Security Area) Foreigners Favourites! The only separated nation left in the world. DMZ + Panmunjeom Combined Tour Foreigners Favourites! The only separated nation left in the world. Since the fall of the Berlin wall North and South Korea remain the only split countries in the world, and the Demilitarized Zone that separates them remains the most famous military sire of its time. Though imposed for political reasons the site inadvertently produced a unique wildlife preserve, one of the many features of the DMZ tours. Only an hour travel north from South Korea's capital of Seoul the DMZ continues to increase in popularity every year for foreign tourists. An organized DMZ tour is almost mandatory as there is no public transport to the site, and travelling with local Koreans is difficult due to the security checks they are required to undergo before every visit. Organised DMZ and JSA tours take care of all the details including entrance fees and current Passport requirements before departure, and are highly recommended for safety reasons. Without a tour guide the significance of many of the sites is lost. Amongst the more famous sites in the DMZ are the North Korean tunnels. Presently four tunnels connecting North to South Korea have been discovered, though more may exist. These tunnels were the first part of an invasion plan by the North to conquer the South, though they proved unsuccessful. The third discovered tunnel, the tunnel of aggression, was uncovered in 1978 through information given by Northern defector. 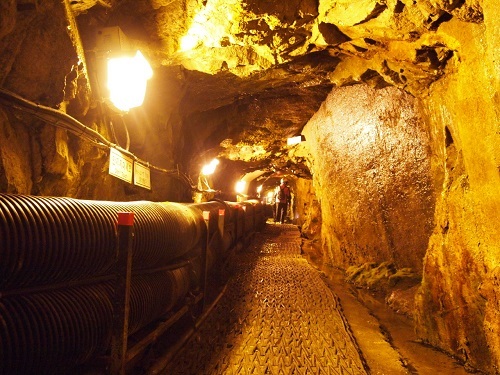 With a length of 1.6 km it is the largest known tunnel; and though well-guarded visitors are allowed to enter part of the tunnel where a barricade marks the boarder. No photography is permitted in the tunnel. 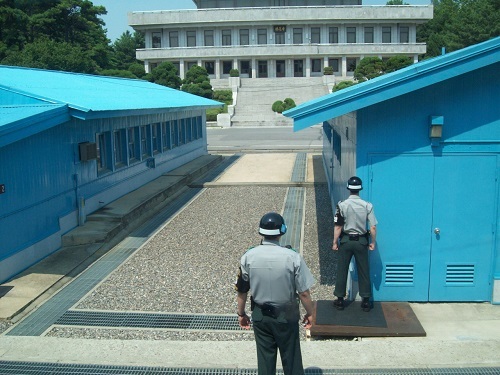 The Joint Security Area is located with the DMZ, the first and for many years the only connection between the North and South. It is occupied by troops from both sides and contains buildings that extend into both countries. It has been the site for almost all diplomatic engagements. In any year around 100 000 tourists undertake a JSA tour. Being an area that has had occasional military incidences all visitors must sign a document to the effect that they understand the dangers. All JSA tours are organized by language group so as to provide a guide with appropriate translation skills. The Panmunjom village was abandoned at the end of the Korean War, being in the area that was to become the demilitarized zone. It has all but disappeared except for a single building used for the signing of the armistice agreement that officially ended the war. This building is located in North Korea, and is now the peace Museum. Though not covered in the JSA tour the name 'Panmunjom' is often used to refer to the Joint Security Area itself. Though unplanned the area around the North and South border has become a haven for wildlife. As people were kept out because of the military situation so the local wildlife was free to develop unhindered. Several endangered animals and plants survive in the diverse geography of the boarder, including the Amur Leopard, the Asiatic black bear and the red-crowned and White-naped cranes so popular in Asian arts. There is a possibility that a small number of Siberian tigers also survive. Civilian access to the DMZ is very limited, so much of the nature reserve remains out of bounds, but tourist on the DMZ tour usually see at least some of the landscape and its wildlife.The DMZ tour provided both an important look at the historical sights of the Korean military situation, and some extremely rare Asian flora and fauna. Korea's Demilitarized Zone is a 248 kilometres long, 4 kilometre wide line, roughly along the 38th parallel, that demarcates The Communist North from the South. It is positioned along the cease-fire line, where the war was fought and ended in July 1953. Despite the name the DMZ has a very strong military presence on either side of the dividing line. The official end of the Korean War came with the armistice agreement signing on July 27th. This had been delayed over disagreements about the fate of POW's and whether they should be forced to return to their own country. Technically the two sides are still at war, and the 'complete cessation of hostilities' was never achieved; incidences and killings continued infrequently over the years, and evidence of hostile intent (such as tunnels) have been discovered more than once. Though there were peace talks between North and South in 1974 it is believed that North Korea started digging several tunnels under the DMZ about this time. North Korea's president Kim Il Sung had issued an order on Sep 27th 1971 that emphasised the importance of the tunnels in a planned Invasion of the South. The first tunnel was discovered in 1974 when South Koreans soldiers noticed stream rising from the ground. Discovering a tunnel that extended 1 kilometre into South Korea, with a total estimated length of 3.5 kilometres, the incident was of such global importance that US President Gerald Ford and Henry Kissinger were consulted and visited Korea for diplomatic talks. This tunnel, unlike later discovered tunnels, was equipped with a small railway. A second tunnel was discovered in March 1975. A similar length to the first one it was wide enough to accommodate smaller military vehicles and move 30 000 troops per hour. At 50 to 150 meter deep it was far further below ground than the first tunnel. After information was given by a North Korean defector, a third tunnel was found in October 1978, quite similar in construction to the second tunnel but only about half the length. Because of its location this is the tunnel most often visited on DMZ tours. The tunnel is heavily guarded to this day and a barrier marks the point underground where North Meets South. The fourth tunnel was discovered in March 1990. It was very similar in design to the second and third tunnels and also extended about 1 kilometre into the South's territory. Despite the obvious military nature of the infiltration tunnels the North Korea government tried to claim they were digging for coal mining purposes. Kissinger and the South Korean politicians joked that the oil drilling equipment used for finding the tunnels might stumble across some oil. Casualties have continued infrequently over the years, a few within the JSA itself. On august 1978 a group of South Korean and American soldiers were sent to trim a tree in the JSA near the bridge that divided the two sides. The tree had obscured South Korean's view of check post where the North Koreans had repeatedly tried to abduct visiting South Korean personal. The North attacked the individuals sent to trim the tree, resulting in the death of Two US officers. The site, now a monument to the individuals who died in the incident, is part of the JSA tour. Some of the actions between the two sides have been more comical than dangerous. The South shortened the legs of chairs in order to make their rivals look smaller (literally and symbolically) at diplomatic meetings. Both sides later competed by trying to have the largest flagpole near the border, and the largest flag at diplomatic meetings. Eventually a maximum size for flags had to be set as the flags would not easily fit into the space provided; the leg sawing incident did cause delays in negotiations when the offended part walked out. The JSA tour covers the modern conference room used for diplomatic relations, set up after these incidences were amended. Hello, Everyone. Welcome to Seoul, the capital of Korea. I am your tour guide today from Cosmojin travel agency. DMZ tour includes those tour locations below and is renowned for foreigners. The armistice that put a halt to the Korean War (1950-1953) divided the Korean Peninsula into South and North Korea. Nowhere is the tension between North and South Korea more tangible than in the world known as the demilitarized zone, or DMZ. As the only divided nation on earth, only 2.5 miles (4 kilometers) separate the North from the South in what is the most heavily armed border on earth. They guard against each other on only 8 km distance. The 150-mile (241-kilometer) long zone has served as a buffer since the 1953 cease fire that put the Korean War on hold. Crossing the Korean Peninsula from the mouth of the Imjin River in the west to the town of Goseong in the east. The demilitarized zone (DMZ) itself, where human activity has been greatly limited for the last half-century, has become one of Asia’s greatest nature preserves. Such restrictions, which have been in place for the last fifty years, have helped the ecological resources in the area to remain in an untouched state. As a result, the DMZ is also a unique natural ecosystem, one that is globally acknowledged for its ecological value. the civilian off-limit area was able to maintain excellent level of natural environment. Along with the DMZ, the area recently is highly valued for environmental resource and undisrupted ecosystem. The area of the DMZ/JSA is quite safe for tourists and is probably the most fascinating day trip you could possibly take from Seoul. However, the DMZ is perhaps the supreme irony in a land of ironies. As you gaze out upon the DMZ from Checkpoint 3 of Panmunjeom’s Joint Security Area, your attention is drawn not to the rare opportunity to peek into mysterious North Korea. Here, at the most militarized border on the planet, you feel completely at peace. Unification Hill - Odusan Unification Observatory ? is the place for education on security matters, Unification Hill is situated where the Hangang River joins the Imjingang River. Although this observatory is technically located outside the DMZ, it offers one of the best views into North Korea and has been visited by over 10 million people since it was opened in 1992. It is also conveniently located near Heyri Art Valley. Also at the DMZ Theater and Museum; after watching the video and viewing the museum, you’re ready to venture deep into a North Korean infiltration tunnel! To date, four have been discovered along the DMZ, although many expect there are more yet undiscovered. Upon its discovery, North Korean troops painted the tunnel walls black as part of a bizarre explanation that they were simply mining coal! Inside the DMZ, near the western coast of the peninsula, Panmunjom is the home of the Joint Security Area (JSA). A unique living relic of the Cold War era, Panmunjeom is a small village that happened to lie at the final battle front of the Korean War. Originally, it was the only connection between North and South Korea but that changed in 2007 when a Korail train crossed the DMZ to the North on the new Donghae Bukbu Line built on the east coast of Korea. One kilometer east of the former village (now deserted) is the Joint Security Area (JSA), an almost circular patch of land with an 800-meter diameter. The area is jointly policed by the South and North, and the two sides occasionally meet for discussions. Panmunjeom is on the Military Demarcation Line, which is the actual border between North and South Korea. 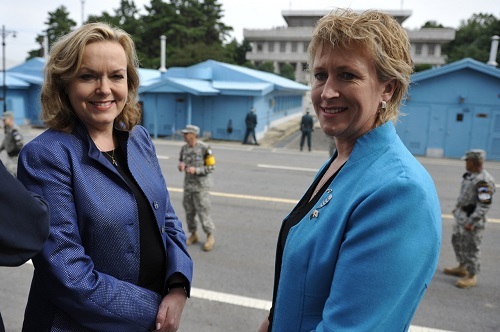 The DMZ is a buffer along the north and south sides of the MDL - 2 km into North Korea and 2 km into South Korea. The JSA is the location where all negotiations since 1953 have been held, including statements of Korean solidarity, which have generally amounted to little except a slight decline of tensions. 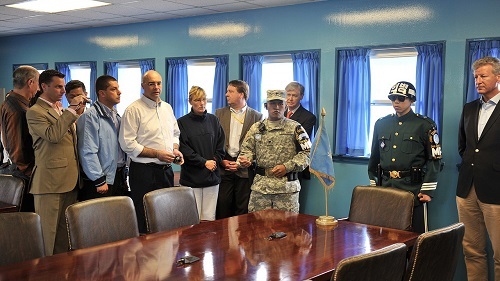 The MDL goes through the conference rooms and down the middle of the conference tables where the North Koreans and the United Nations Command meet face to face. Probably the most exhilarating and genuinely nerve-wracking experience of any DMZ tour is if conditions allow you inside a Military Armistice Commission building. Straddling the border inside the JSA this series of gray and sky blue buildings. Gray color stands for North Korea and blue is for United Nations Command. Inside of the building, if you stand on the northern side of the long wooden table, you’ve technically stepped foot into one of the world’s most reclusive nations. With the fall of the Berlin Wall, Panmunjeom (JSA) became the world’s last remaining outpost where democracy and communism stare at each other face to face in a tense standoff with political and historic meaning. The 4km-wide, 240km-long buffer known as the Demilitarized Zone (DMZ) slashes across the peninsula, separating North and South Korea. Lined on both sides by tank traps, electrical fences, landmines, and armies in full battle readiness, it is one of the scariest places on earth. It is also one of the most surreal place, since it has become a major tourist attraction with several observatories allowing you to peek into North Korea. For history buffs and collectors of weird and unsettling experiences, a visit here is not to be missed. The place most people want to go is the Joint Security Area (JSA), 55km north of Seoul, inside of which is the truce village of Panmunjeom ? there’s nowhere else in South Korea where you can get so close to North Korea and North Korean soldiers without being arrested or shot, and the tension is palpable. The only way into this heavily restricted area is on an organized tour ? note citizens of certain countries are not allowed on these tours. There are also strict dress and behavioral codes. The JSA resembles a square measuring about 800 meters in diameter. After the Armistice Agreement was signed, the JSA became a neutral location where the guards from both sides were allowed to move about freely. It was the only place in the DMZ where the Military Demarcation line (MDL) was originally not clearly marked. That changed after North Korean guards murdered two United Nations Command (UNC) officers with axes on August 18th, 1976. After the Ax Murder incident, the MDL was marked within the JSA, and that marking system continues until today. Today, the only place where border crossings are allowed is inside the conference buildings of the Military Armistice Commission (MAC). The MDL in the JSA is marked with one hundred and twenty-six 1 meter-high white stakes, along the boundary line a 10-meter interval. In the rest of the DMZ, the boundary is marked with MDL Markers. Each side owns six guard posts in the JSA and on more than thirty-five armed guards can be present on each side. The JSA is a venue for exchanges and negotiations between the North and South. All kinds of political and economic issue, cultural conferences and Red Cross meetings are held in the JSA. Panmunjeom is located inside the Demilitarized Zone (DMZ), and it is the most forward location in the DMZ that can be visited by civilians. The administrative address is Kyunggi-do Paju-si Jinseo-myun Neolum-li (for the South Korean portion), and Kaesung-jikhalsi Panmun-joon Panmunjeom-ri (for the North Korean side). Although Panmunjeom is the common name of the area, the official name of the negotiating site is the Joint Security Area (JSA). Panmumjom is located in the western portion of the 155-mile long DMZ on the Military Demarcation Line (MDL) and it demonstrates the great sorrow of the divided country. Panmumjeom is located 62 kilometers northwest of Seoul, the capital of South Korea, and 215 kilometers south of Pyongyang, the capital of North Korea, 10 kilometers from Kaesong. Korea DMZ Tour from Seoul first take you along Freedom Road, the flat and straight highway connecting the capital with the DMZ. The buses eventually reach the Imjingang River, crossed by the Unification Bridge. This is the end of the line for most civilians. If you’re with a tour group, however, you’ll pass through an army checkpoint at the southern end of the bridge and cross into the Civilian Limit Zone and, a bit beyond that, the Joint Security Area, or JSA. The Unification Observatory is located in the northernmost part of Korea. Over 2 million people visit here every year. From the observatory platform on the 2nd floor, you can see North Korea through binoculars. If the weather cooperates, North Koreans will be visible to the naked eye. The Joint Security Area itself is iconic, especially if you’ve seen Park Chan-wook’s 2000 film, “JSA.” This small cluster of buildings - some impressive, some humble - was born in 1953 following the signing of the Armistice Agreement (“ending” the Korean War) in the actual village of Panmunjeom, which was located about 800 meters to the north but has since disappeared. The JSA - widely referred to as “Truce Village” - was used for regular meetings between North Korean and UN military officials (the Military Armistice Committee, or MAC) to supervise the implementation of the armistice. It is now used primarily for inter-Korean meetings. On this tour, you’ll be placed in the middle of this very modern Korean civil war and have the rare opportunity to safely see North Korea up close and personal. And although the tension is still very much real, with our guided tours, you’ll be safe just like the thousands of tourists that visit the JSA yearly without incident. This is a one of kind chance to enter a warless warzone found nowhere else in the world. This park located in Paju near the banks of the Imjin River features many monuments and statues about the Korean War. This park features a lot of sights and attractions like the Bridge of Freedom that are definitely worth seeing. There have been four tunnels discovered connecting North and South Korea, though more may exist. The third tunnel is the most interesting. Discovered in 1978, this tunnel was dug by North Korea to enable soldiers to penetrate South Korea for the purpose of an attack. This conference room serves as the neutral ground for whenever the North Korean and United Nations Command military generals meet. It is the sole conference room that's open to the public for viewing. The Joint Security Area, which is also known as "Truce Village," is located in the DMZ and is considered as neutral ground between North and South Korea. You'll also find the North Korea Peace Museum here. Visit awe-inspiring historical treasures found in Korea that are listed under UNESCO's World Heritage Sites. Learn more about Korea's ethnic traditions and way of life during the late Joseon period. We've rounded up the top 5 places you definitely shouldn't miss when in Korea. This is one action-packed tour!